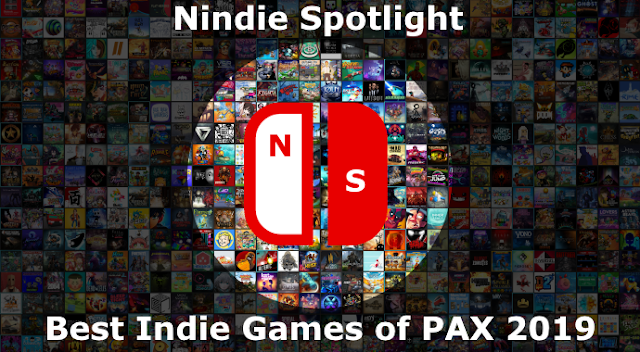 One of the refreshing tendencies with certain indie games is that since they’re hyper-focused experiences it is easy for them to summarize what they offer up-front. 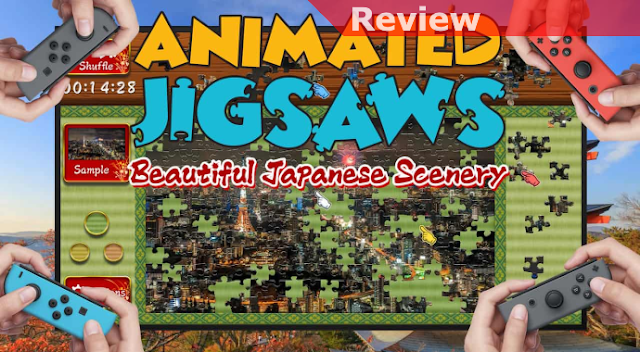 That is certainly the case with Animated Jigsaws: Beautiful Japanese Scenery. If you’re looking for jigsaw puzzles you can experience on your Switch, and even share competitively with some friends or family, it is a soothing and well-implemented experience, not not really anything more… and that’s just fine. What it all boils down to is that there are 10 very picturesque Japanese landscapes featured for you to make puzzles from. Rather than these being static images they’re actually short video clips, with the movement alternating between beneficial in some cases to help you figure out where pieces go and in others it can be an active hinderance. I found that this helped add to the fun of the experience so I’d consider that feature a win. The challenge can be scaled up and down as well by changing the number of pieces you’ll need to deal with, your options being 60, 120, and 240 pieces. Obviously the more pieces you have, the smaller the details get, but this is a great touch that adds to replayability if you want to pace your challenge level and extend play. Since, in general, the pieces will lock into their place when positioned correctly and can be connected before they get into position control is relatively effortless and does everything you’d hope for. The mutliplayer featured in the game, if you’re able to find people to play with you, is a great addition, though you’ll then need everyone to play with their own JoyCon. While the touchscreen is obviously the most intuitive way to experience the game the controllers work well enough in docked mode that it doesn’t interfere with the fun, it just slows you down a bit. 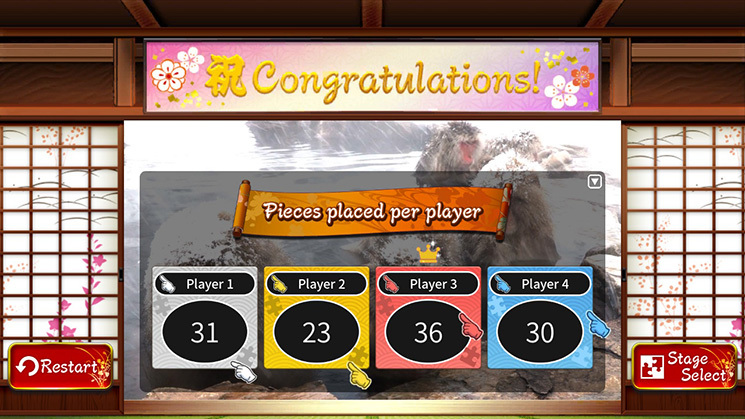 While working together with other people will obviously make completing the puzzle go faster, and everyone can share in the accomplishment, a great feature is that the game keeps track of how many pieces each player placed, settling any typical arguments over who did the best and most work. There are some areas that can be bumpy, depending on how you like to work. Especially if you’re trying to deal with the higher piece counts the lack of sufficient areas to temporarily stage pieces can be a little aggravating. Realistically this is commonly an issue even in the real world but it would have been nice to perhaps have a dedicated scratch space where you could temporarily move pieces to get them out of the way as you sort specific pieces and then worth with your edges or pieces with certain colors on a different screen before bringing them back. Depending on your eyes the scaling and picking up fine details as you increase the number of pieces could also be an issue, the solution being to play in docked mode. While the JoyCon control is decent there’s no denying it is slowed than using the touchscreen though. While there’s absolutely no denying that this is a very specific and niche title the fact that it is well-implemented and has value added features helps it stand proudly on what it delivers. 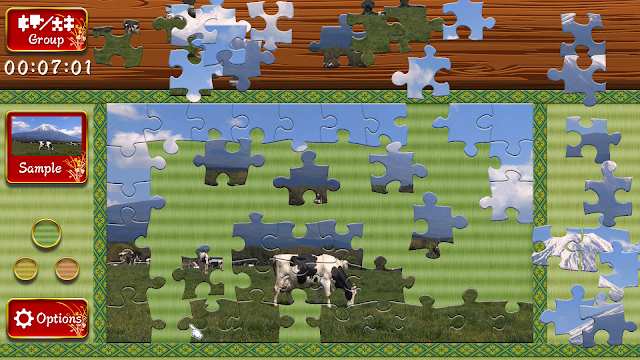 If you’re a big puzzle fan the ability to complete puzzles made from gorgeous scenery that’s in motion is a nice start. That the experience is so generally effortless and intuitive is a big plus on top of that. But if you’ve then got some people to play with I think it’s the multiplayer feature that’s the most unexpected and the most fun if you’re able to make use of it. If you understand its limitations, mostly shared with puzzle-solving in the real world, you should find it to be a good time if you love puzzles.